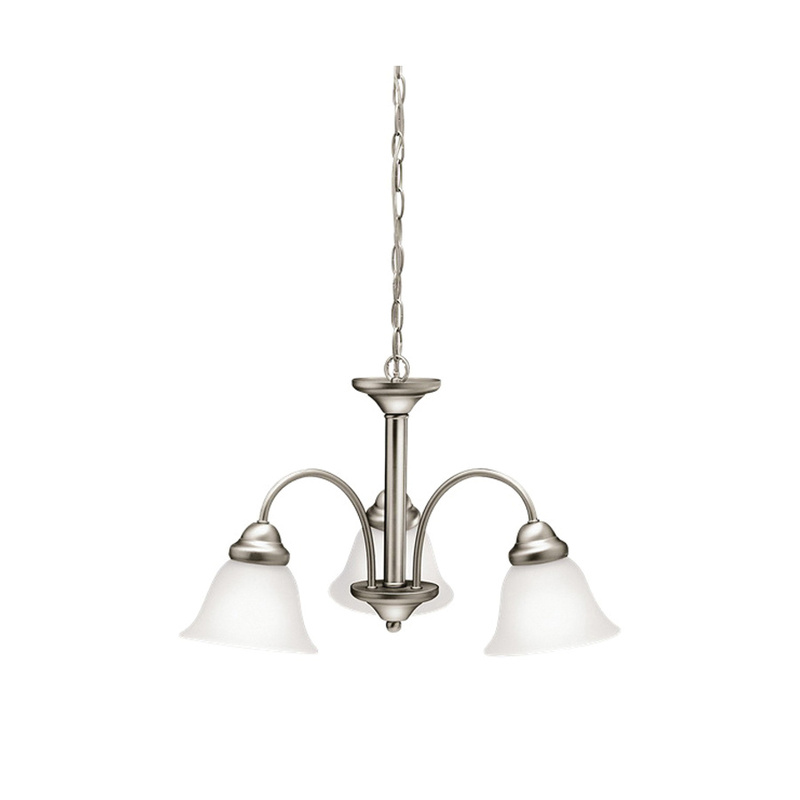 Kichler Wynberg Collection Single tier contemporary style chandelier utilizes three 100-Watt A19 incandescent lamps for lighting. It features satin etched glass shade for elegant look. The A19 shaped chandelier with medium socket, has steel construction and brushed nickel finish for corrosion resistance and durability. It has 300-Watt fixture wattage and 120-Volt AC voltage rating. The chandelier supports ceil mounting and comes with 72-Inch chain and 59-Inch lead wire. Chandelier is safety listed.